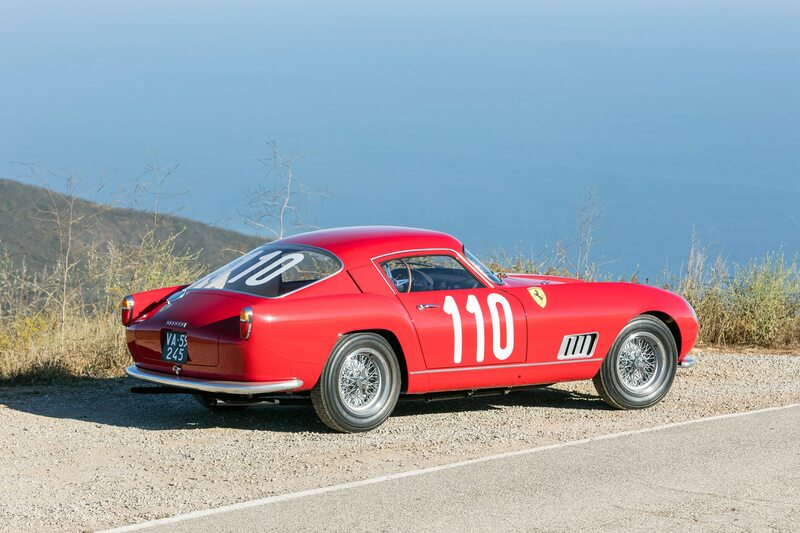 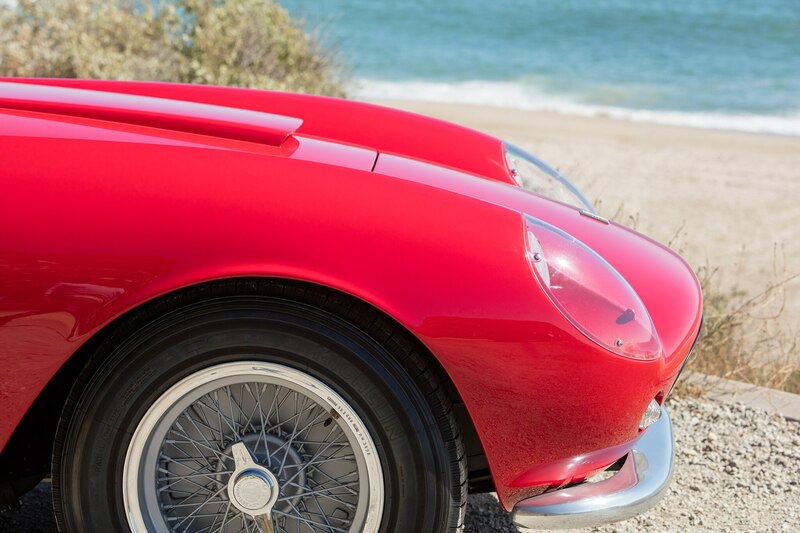 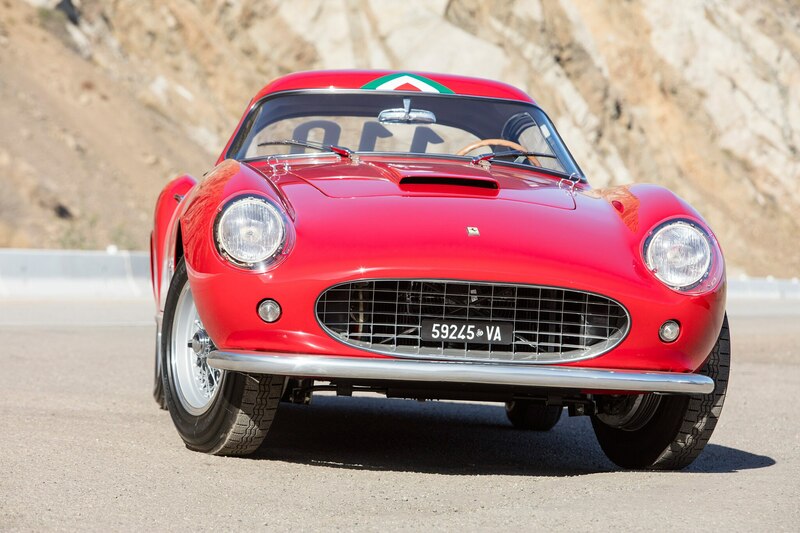 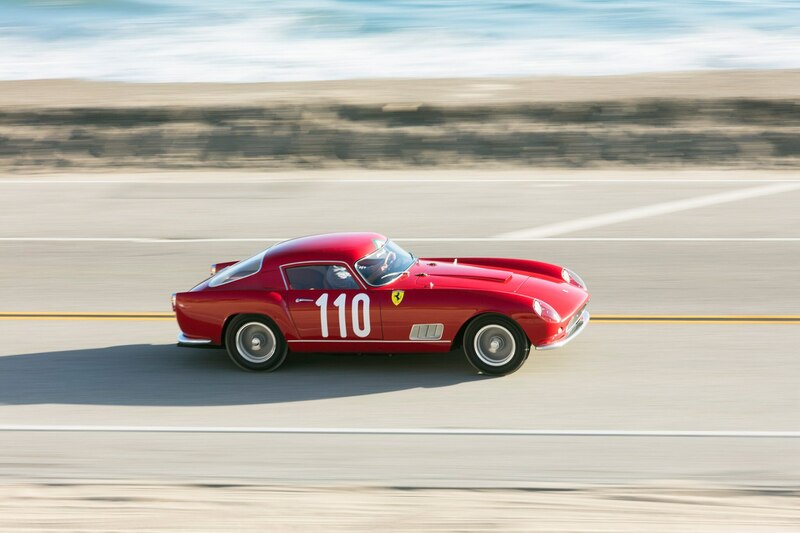 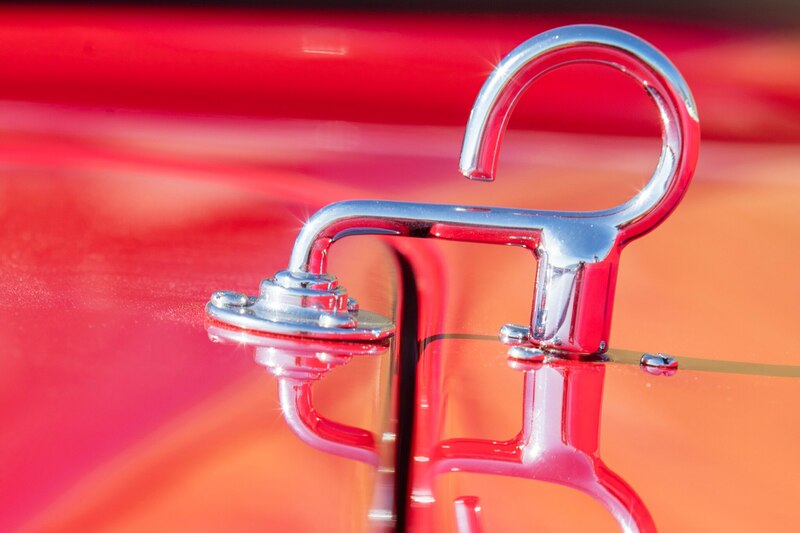 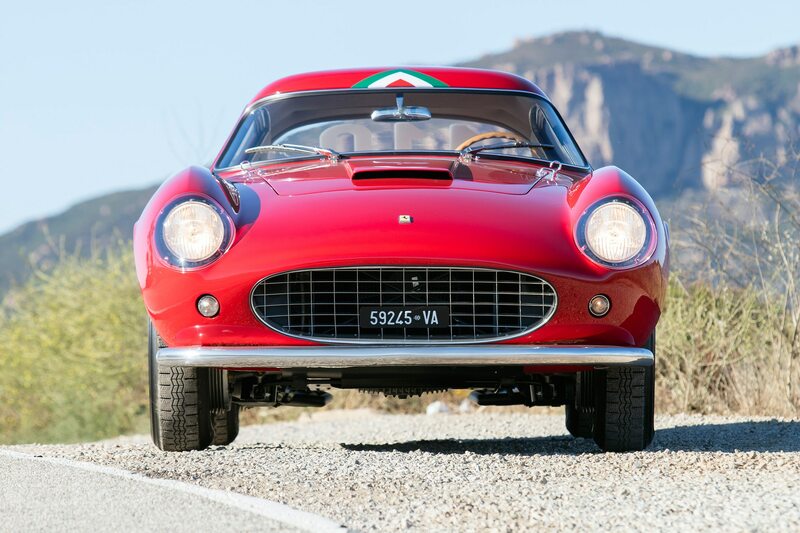 True to word, after a mile of climbing the serpentine canyon road through the Malibu hills, the profile of a gleaming red 1958 Ferrari 250 GT Alloy Berlinetta – a car best known to the Ferrari cognoscenti by its unofficial “Tour de France” moniker – is impossible to miss. 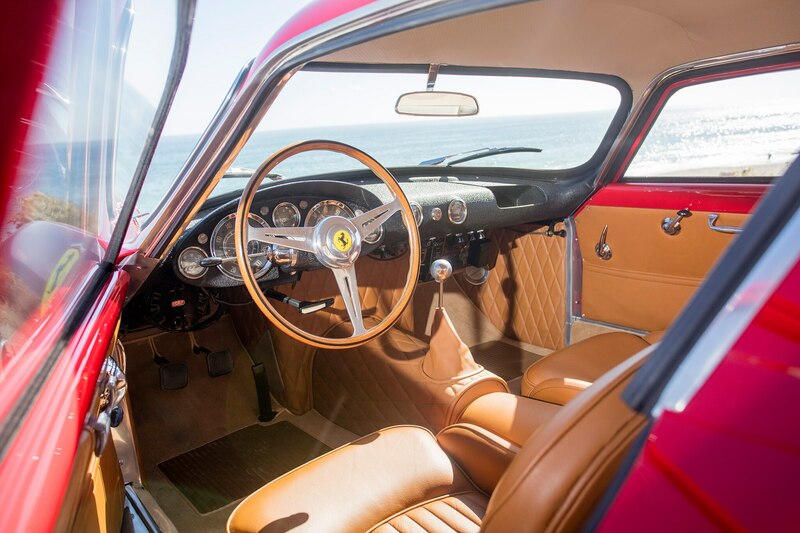 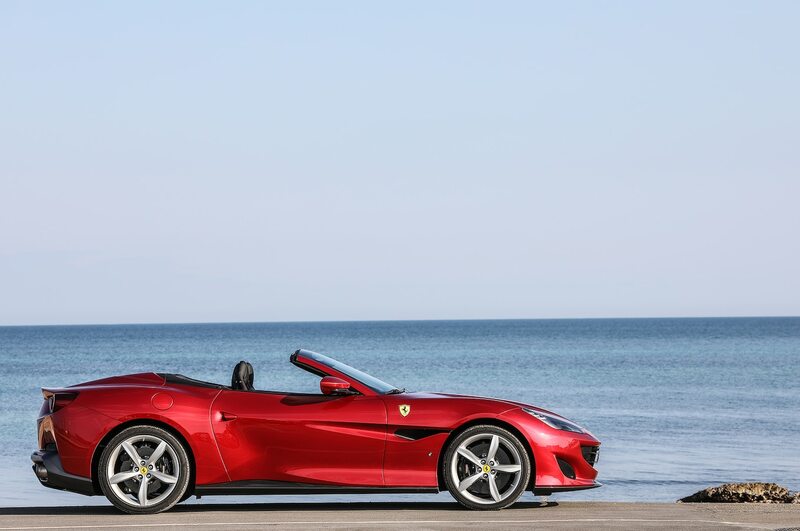 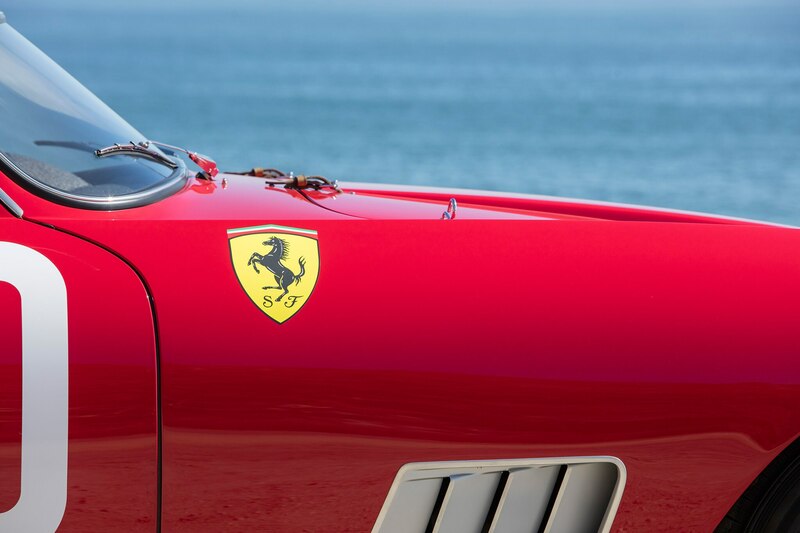 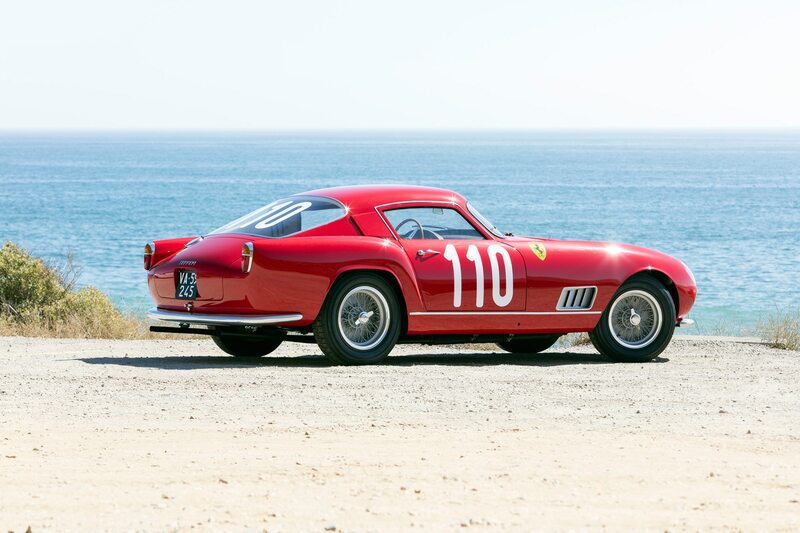 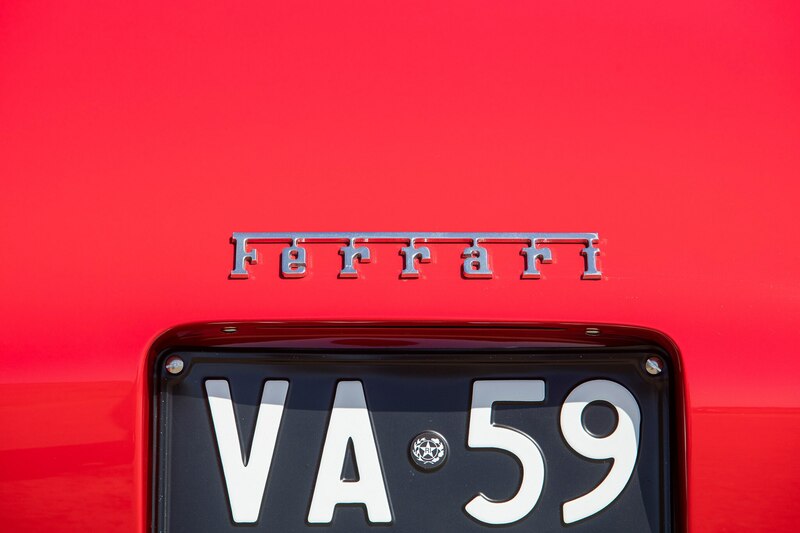 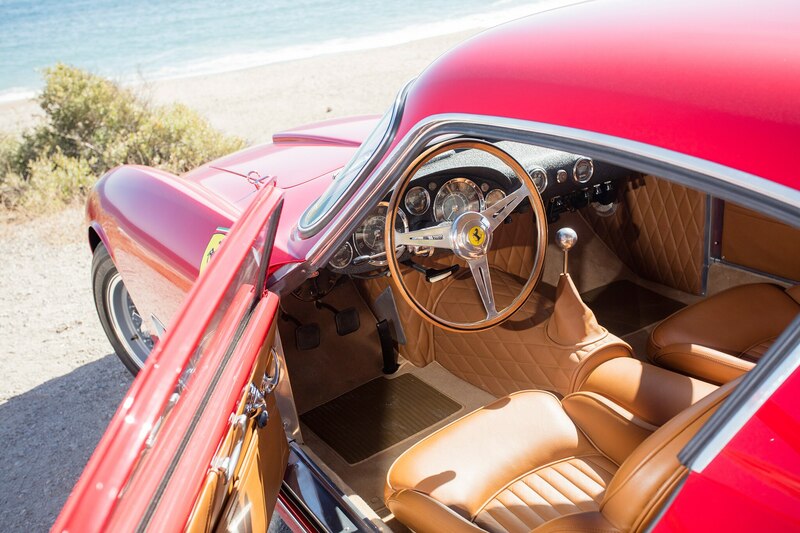 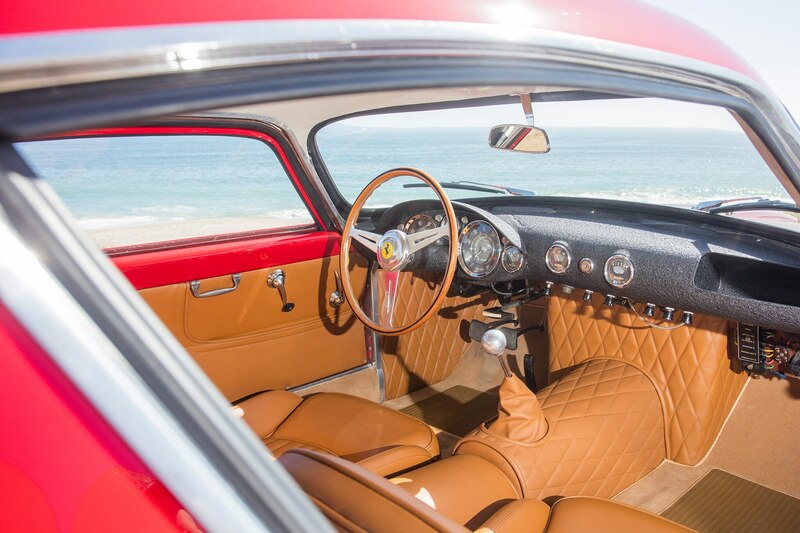 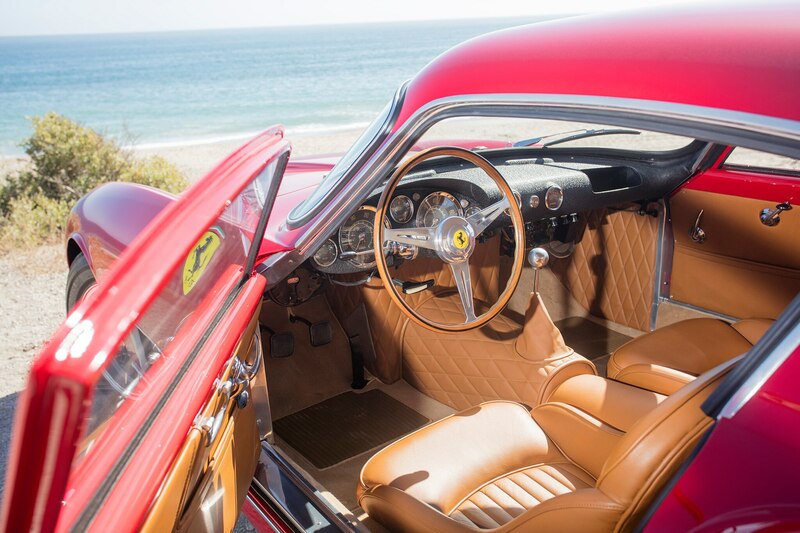 The Ferrari is parked in a quiet, dusty turnout that looks down on the deep blue Pacific Ocean, sparkling with reflected light on a sunny Southern California day in mid-July. 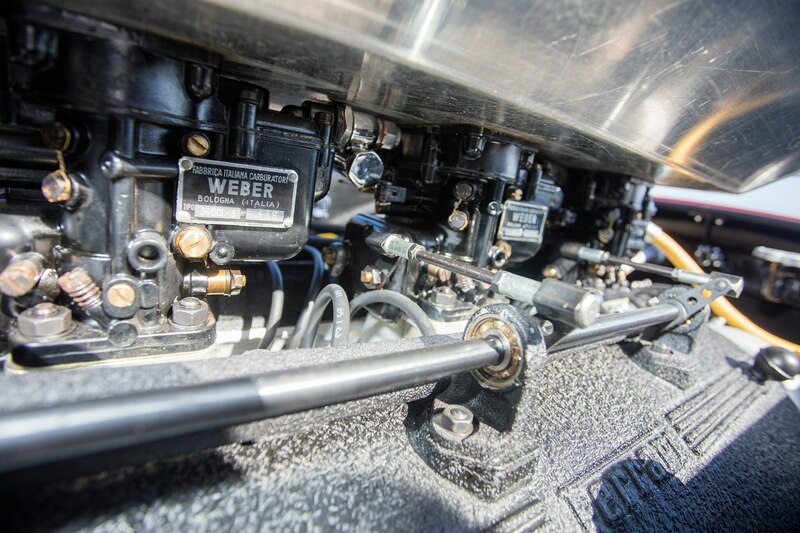 Then, the relative calm of our location is broken with the bark of twelve 250-cc cylinders exploding into life, sucking air and fuel through triple Weber carburetors to feed a hungry 3.0-liter engine before calming to a subdued, unexpectedly quiet idle. 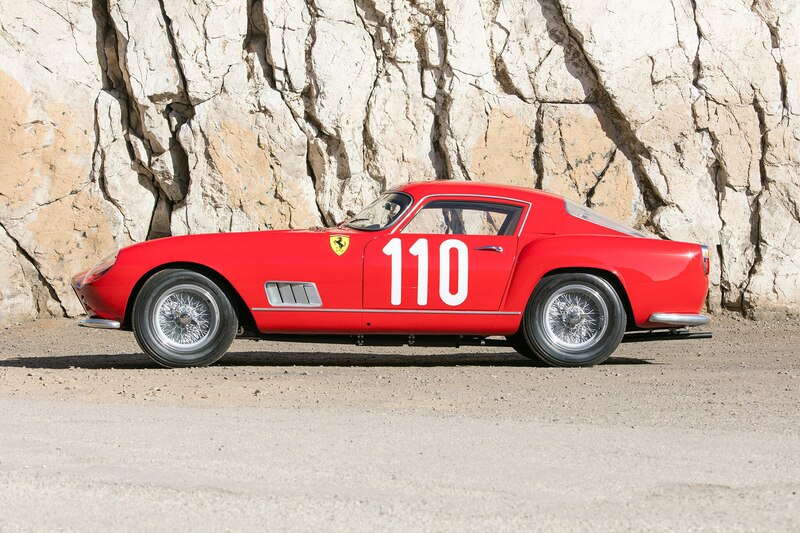 This is Maranello’s quintessential gentleman’s racer. 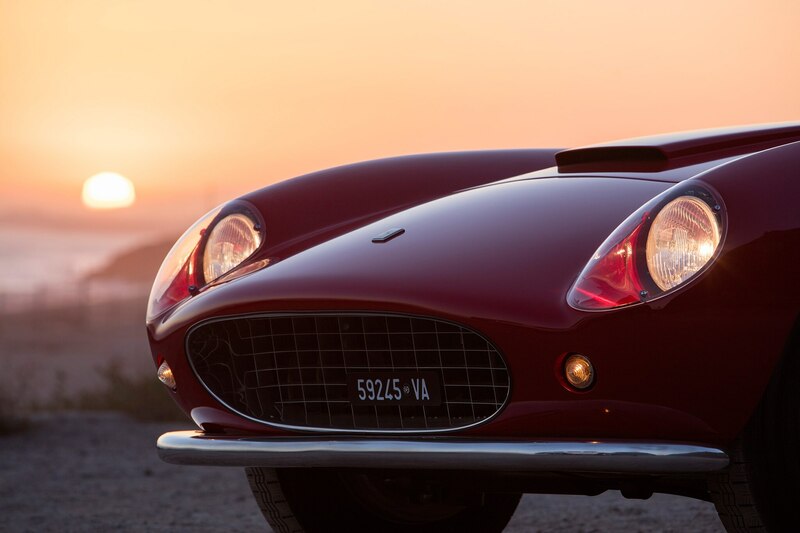 Launched in 1956, the 250 GT Berlinetta was styled by Pinin Farina (two separate words until the end of the ‘50s) but coachbuilt by Scaglietti. 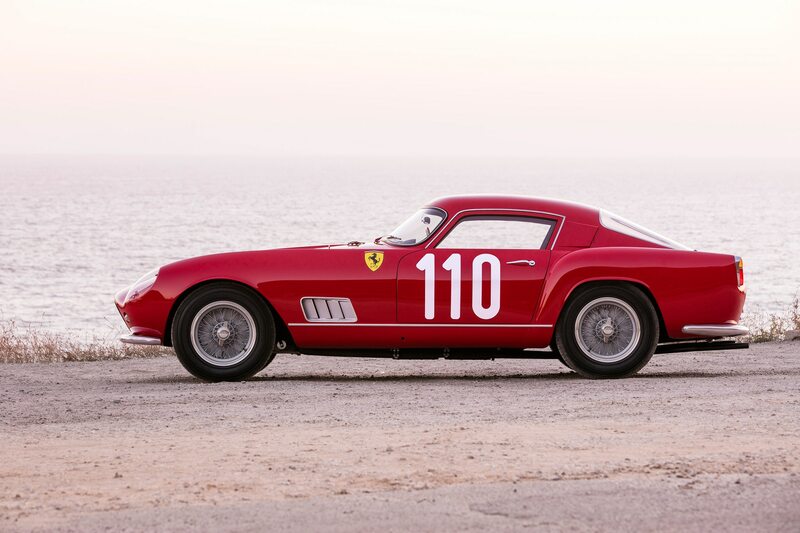 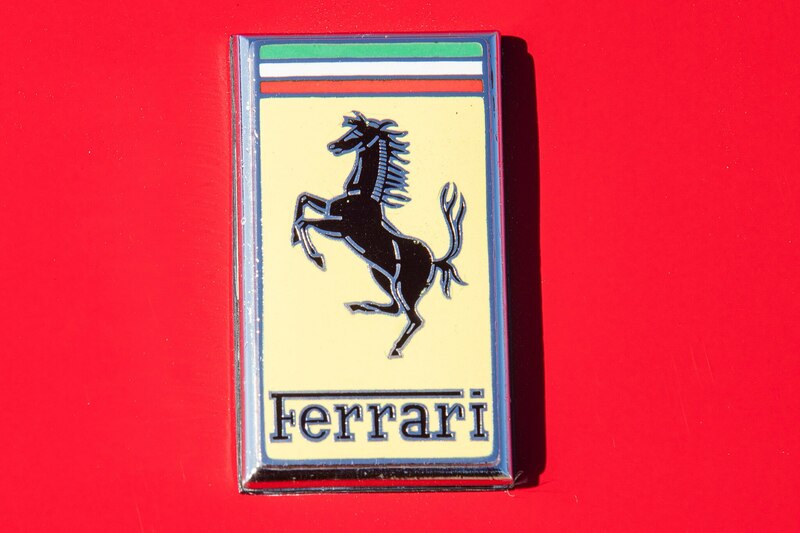 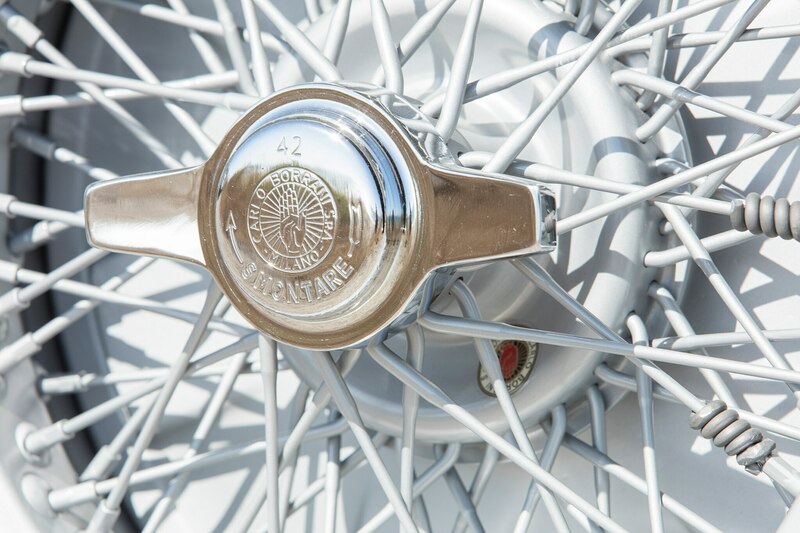 It began to find racing success the very same year, with gentleman drivers Marquis de Portago and Oliver Gendebien driving 250 GT Berlinettas to four consecutive Tour de France road race victories between 1956 and 1959, earning the car its nickname. 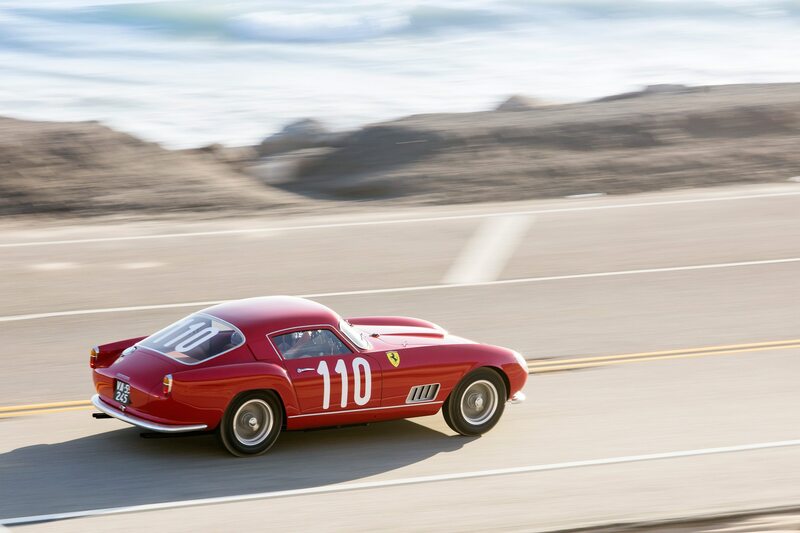 Based on Ferrari’s long-wheelbase 250 GT chassis, the Tour de France was, simply put, the car you wanted if winning international sports car races was on your agenda in the late 1950s. 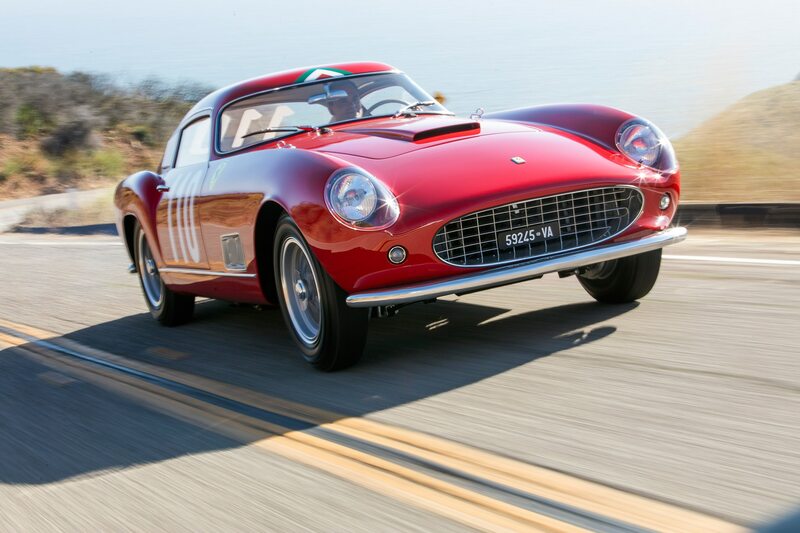 Compared to competitors from Mercedes, Aston Martin, or Jaguar, the Ferrari was strong on power, reliabile, and offered a chassis that was not only capable, but forgiving as well. 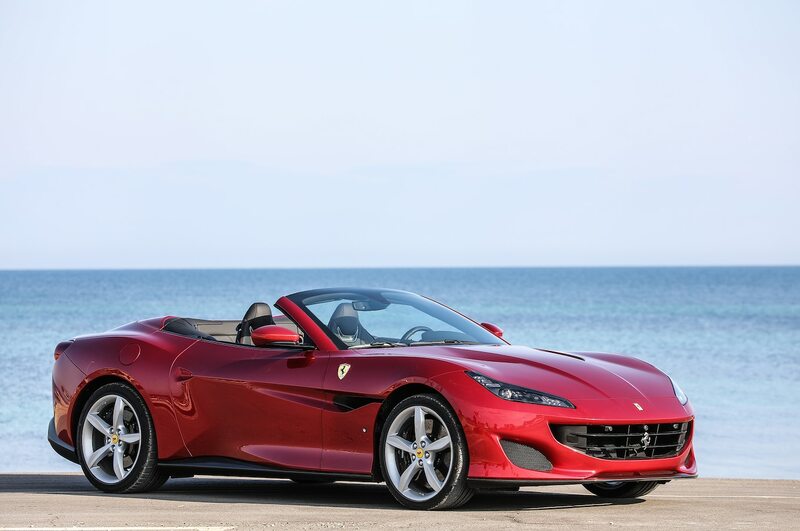 The car was designed to be easy to drive and comfortable for long stints at the wheel, all while producing 260-hp from its Colombo-designed 3.0-liter, SOHC V-12. 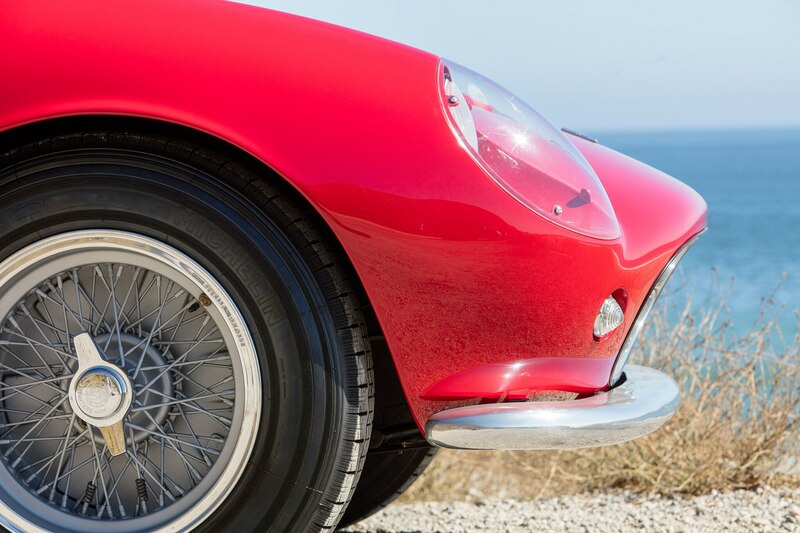 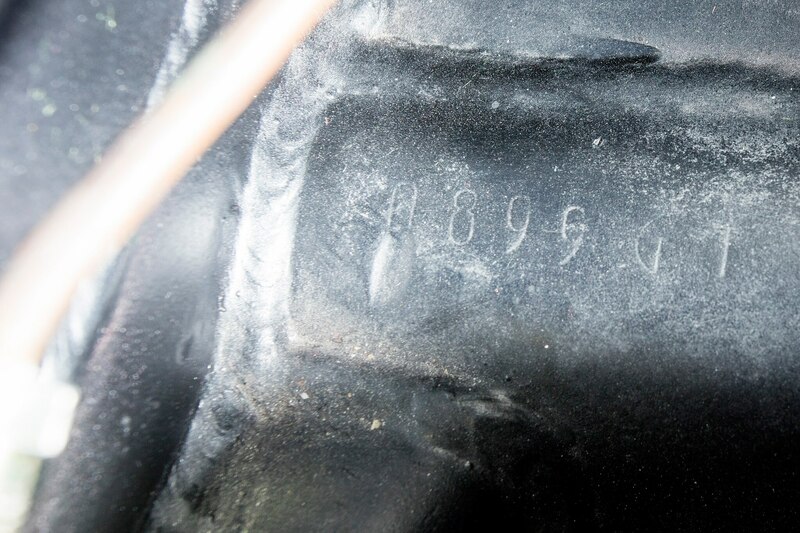 While the car wasn’t necessarily cutting-edge with its four-speed transmission, solid rear axle, and drum brakes at all four wheels, these parts had all benefitted from years of development and refinement. 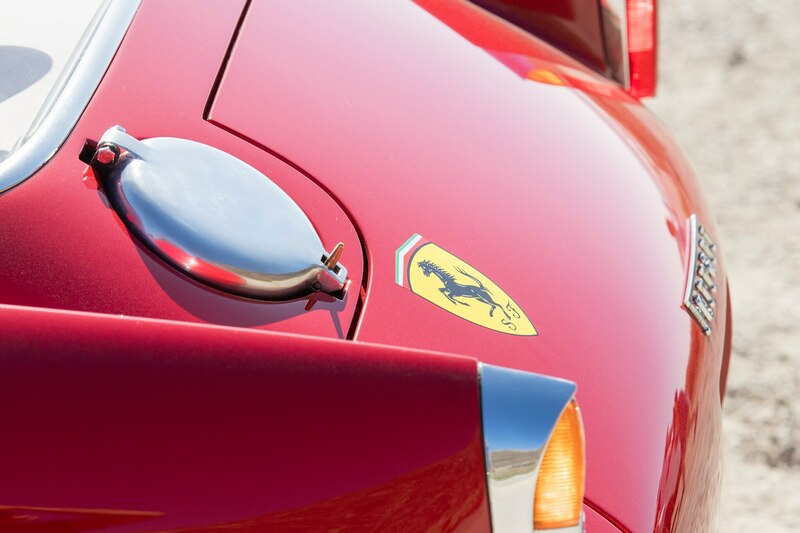 In short, the Tour de France just plain worked. 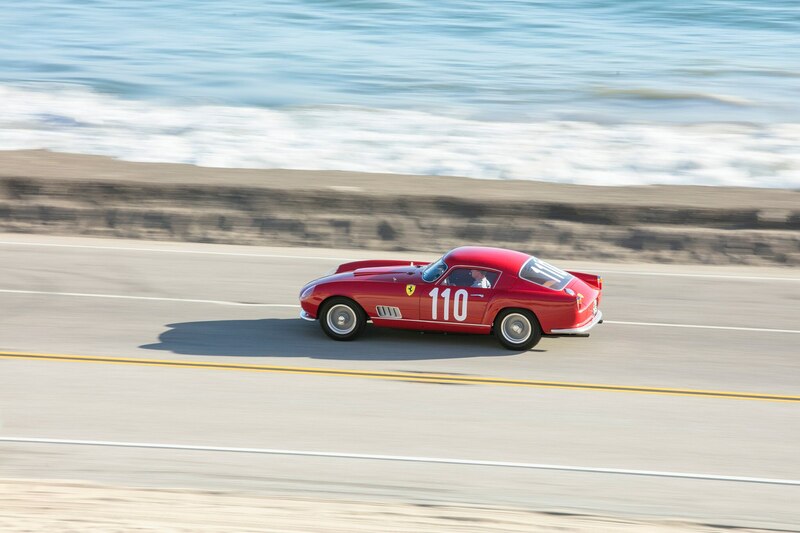 The cars were also relatively safe for their time, with very few drivers killed or seriously injured behind the wheel despite some horrific period crashes. 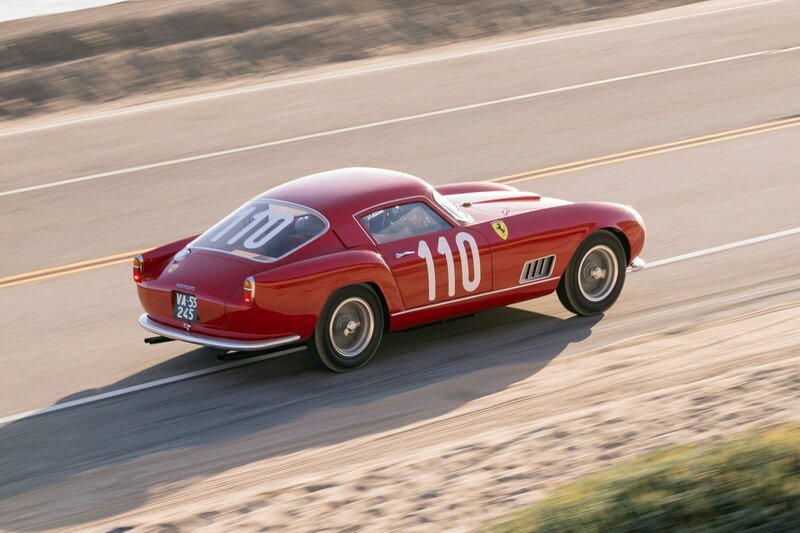 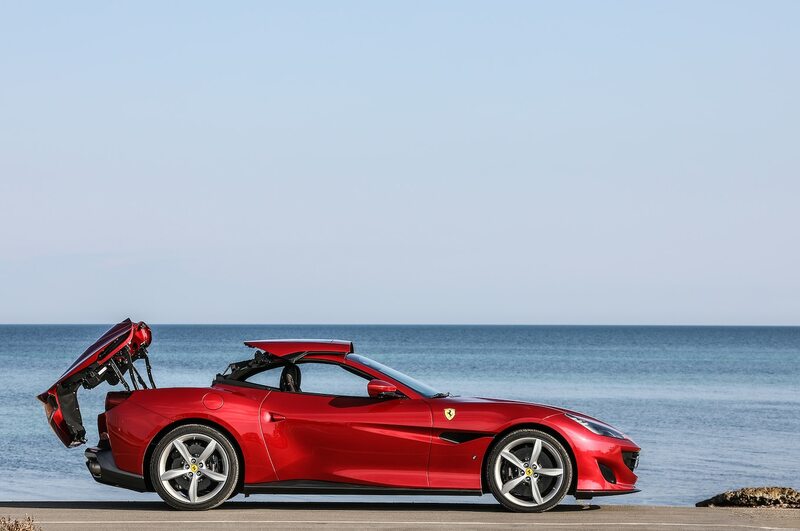 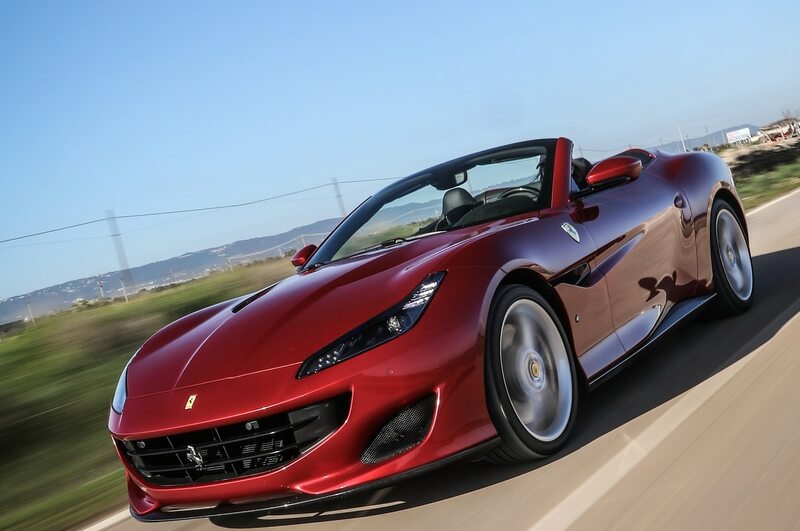 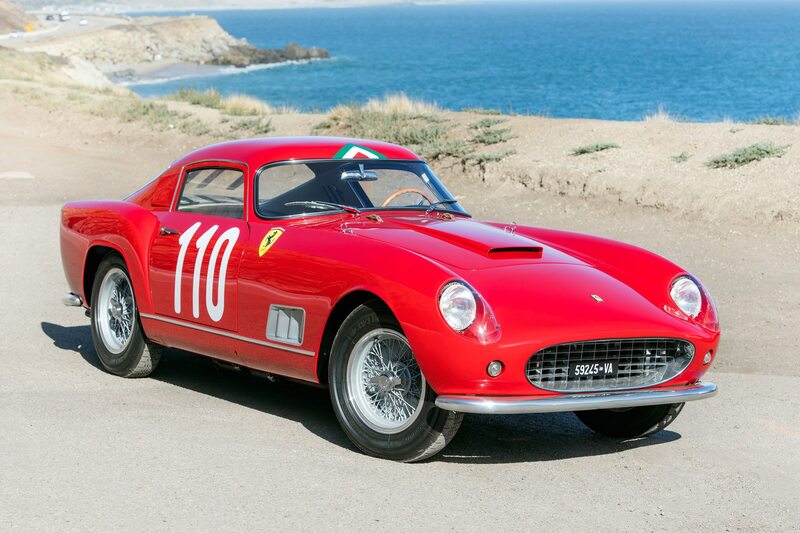 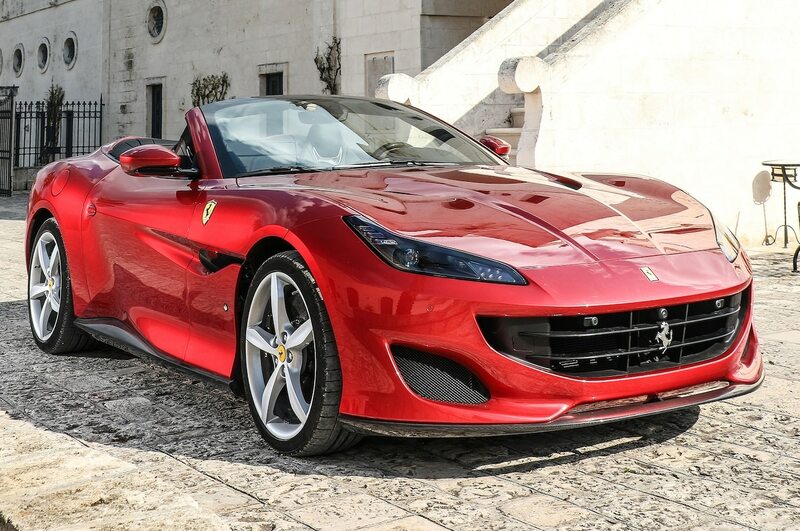 Moreover, the Ferrari Tour de France was a car that was capable of being driven comfortably on both street and track. 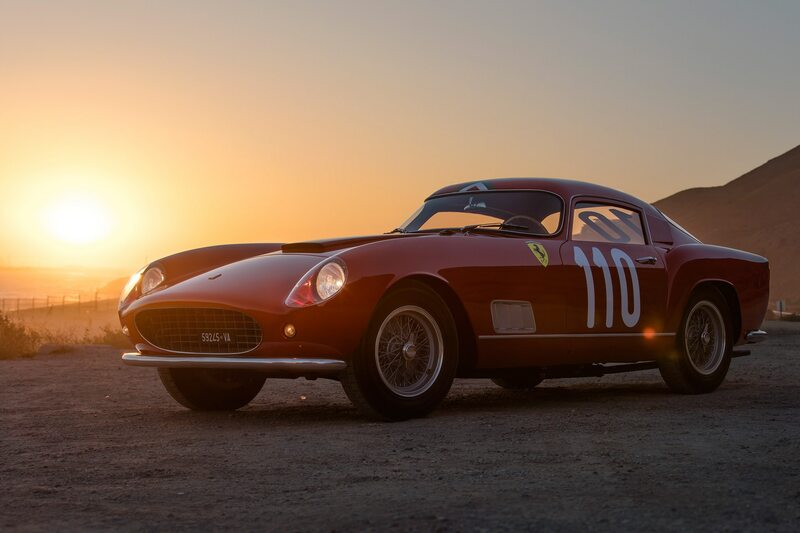 The old saying “win on Sunday, work on Monday,” was popularized by cars like the TdF, which could adeptly handle either endeavor – a massive departure from the specialized race cars of today. 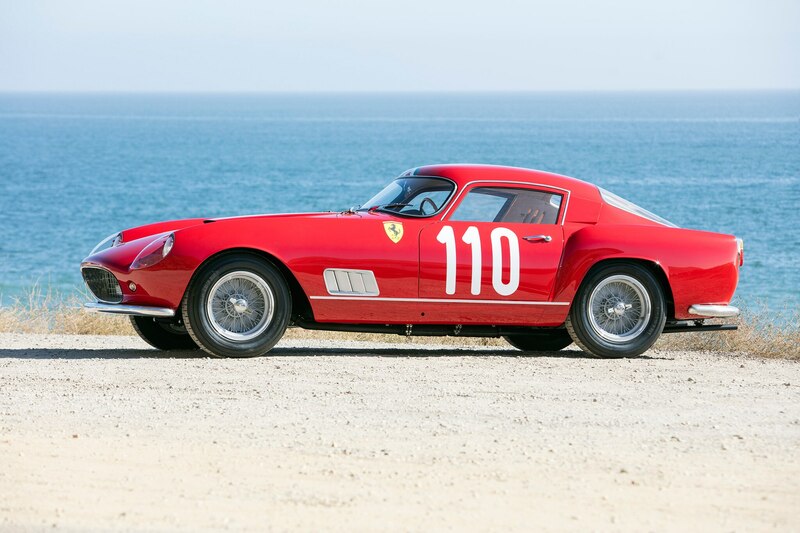 The car we’re standing in front of is part of Bonhams’ Quail Lodge auction, to be held on August 18, 2017 during Monterey Car Week. 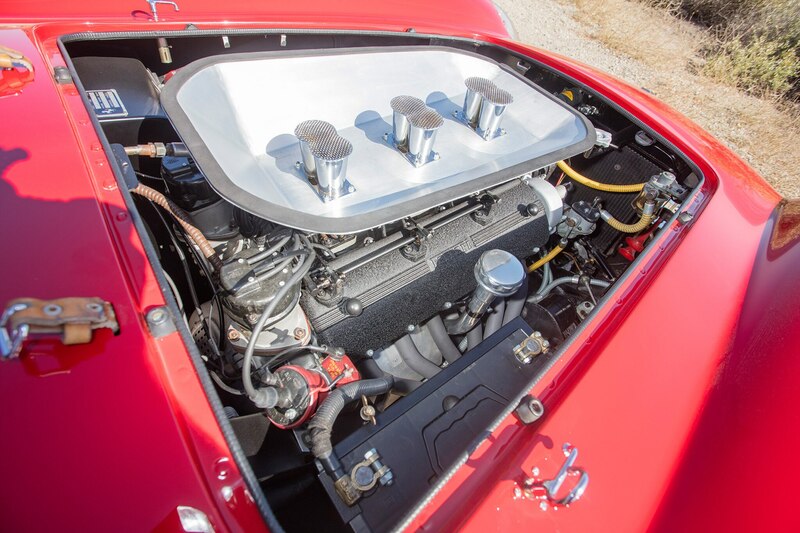 It was built in 1958 and is known as a fourth-series car, essentially the final iteration of a multi-year refinement process that began in ‘56. 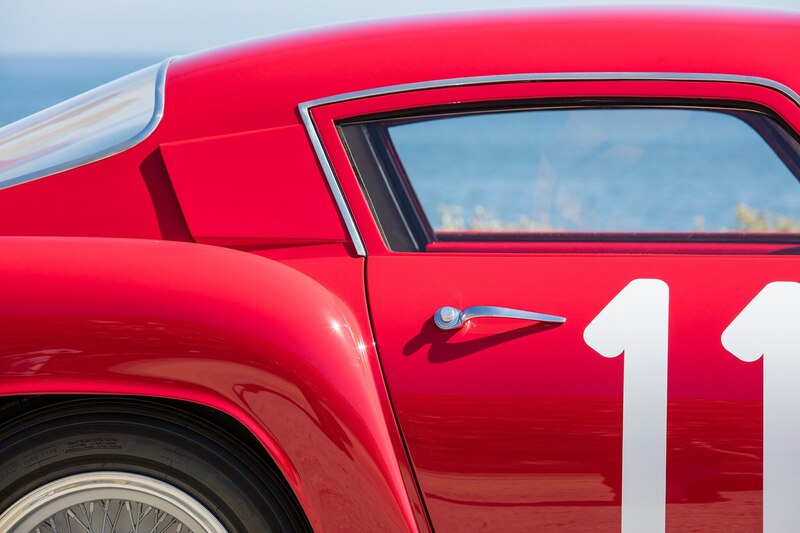 It’s the 42nd TdF built of a total of 77 cars and the third of 37 single-vent sail panel cars. 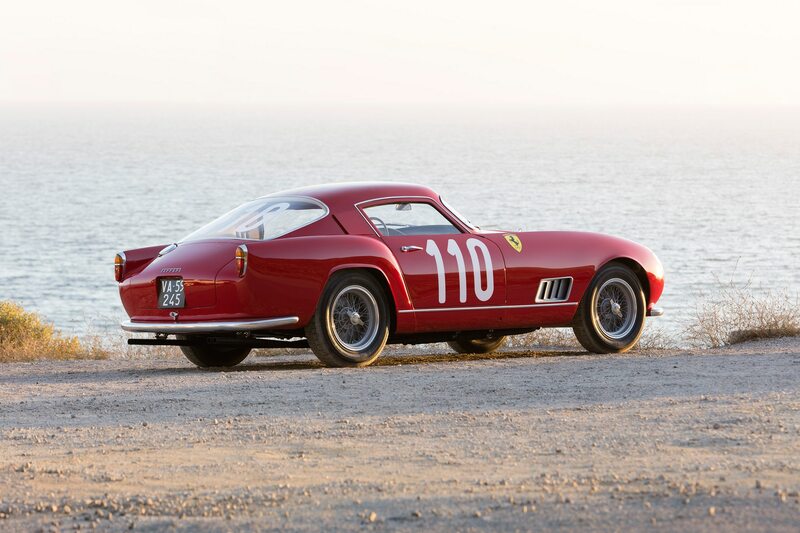 The car was completed with lightweight alloy bodywork at the end of March 1958 and delivered to its first gentleman racer owner, Eduardo Lualdi-Gabardi, on the first week of April. 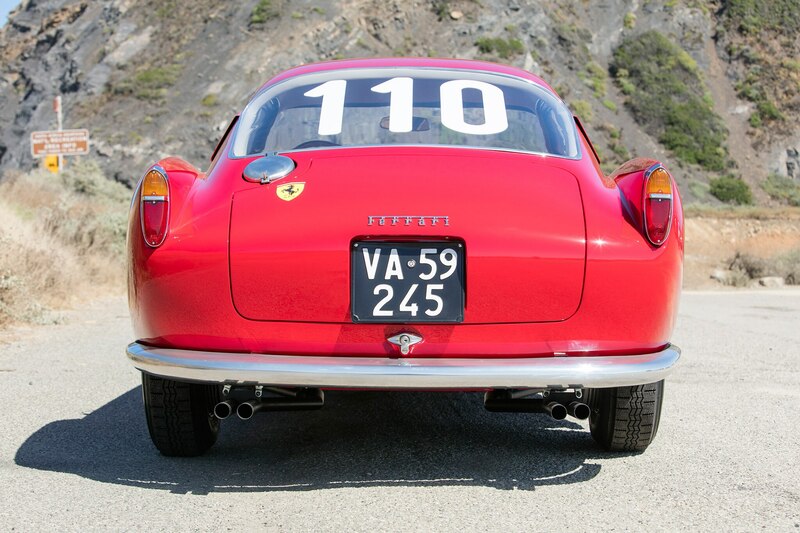 The owner of an Italian textile business with a love for racing, Lualdi-Gabardi entered our subject car, 0899 GT in at least 13 races through the end of ’58, winning the Coppa della Consuma, the Varese-Campo di Fiori Hill Climb, and the Coppa Sant’ Ambroeus at the famed Monza race course, while placing at several other events. 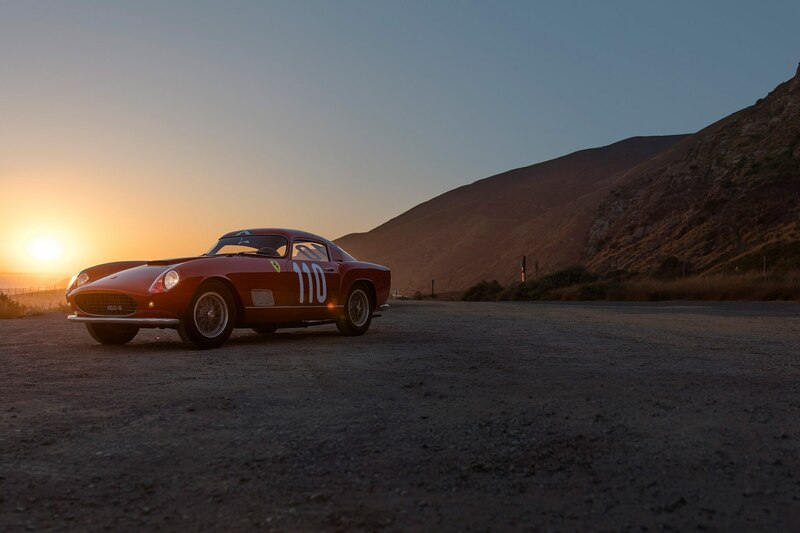 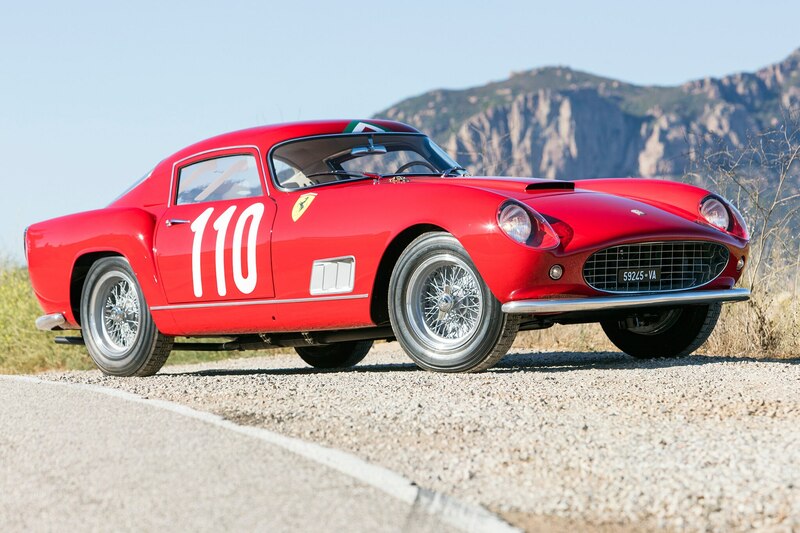 Through 1959, 0899 GT was entered in several more events under new ownership and continued to rack up strong results including a win at the 1959 Castell’ Arquato-Vernasca Hill Climb among several other second- and third-place finishes. 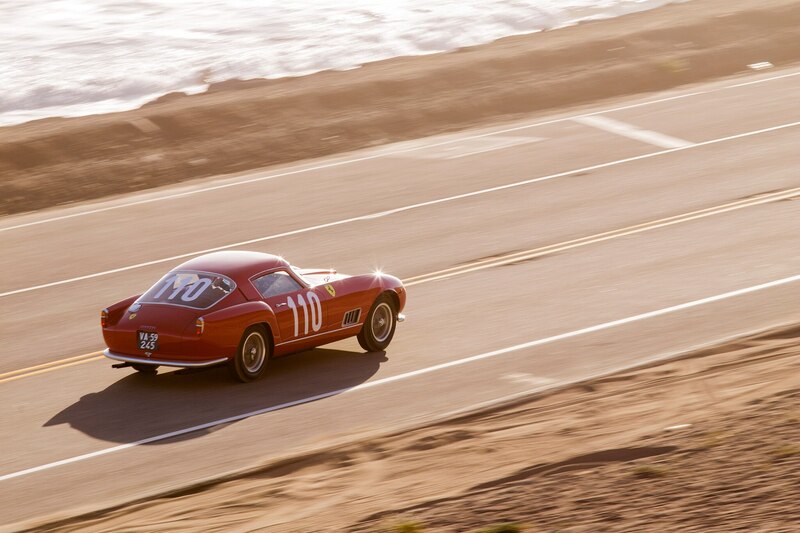 The following year, 0899 GT changed hands yet again and was raced in Algiers, France and Africa with mixed results. 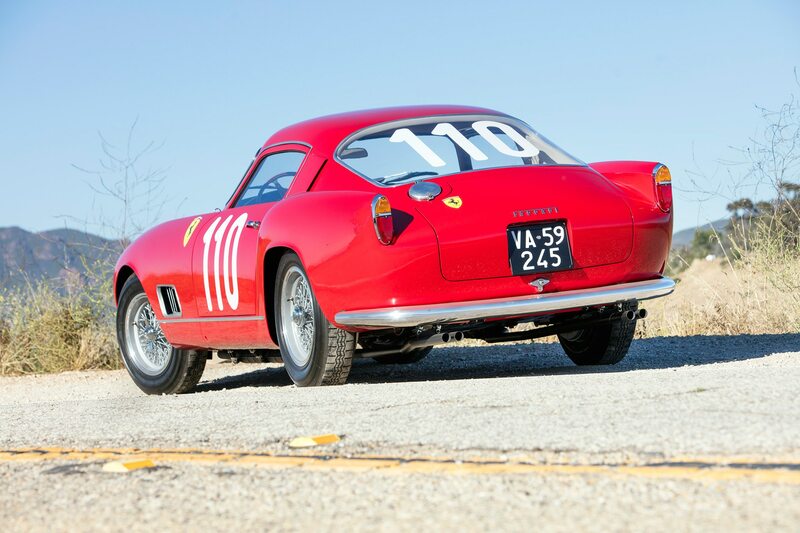 Unfortunately, 1961 spelled disaster for this particular TdF, when the car was badly damaged in a road accident and sold to a scrapyard. 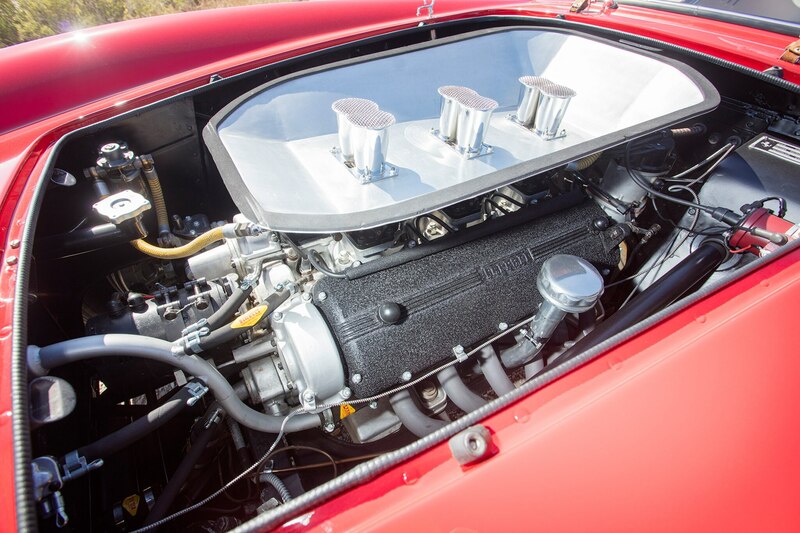 The car’s engine, a special experimental unit, was sold and installed in another Ferrari, while the rear bodywork (the only usable section following the crash) was also sold, later to be used on the one-off Sunbeam Alpine Harrington Special. 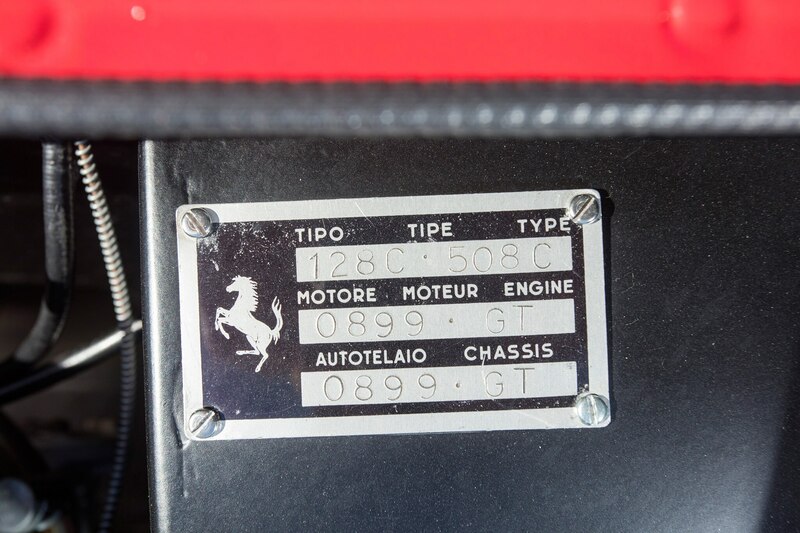 The remaining chassis, gearbox, suspension, brakes, dashboard, and other components passed through several hands over the better part of the next three decades before the car was finally rebuilt in Italy – first by Carrozzeria AutoSport in Modena, then by Ferrari itself, where the car received a brand new, correct-type engine and further bodywork on its way to achieving Ferrari Classiche certification in 2014. 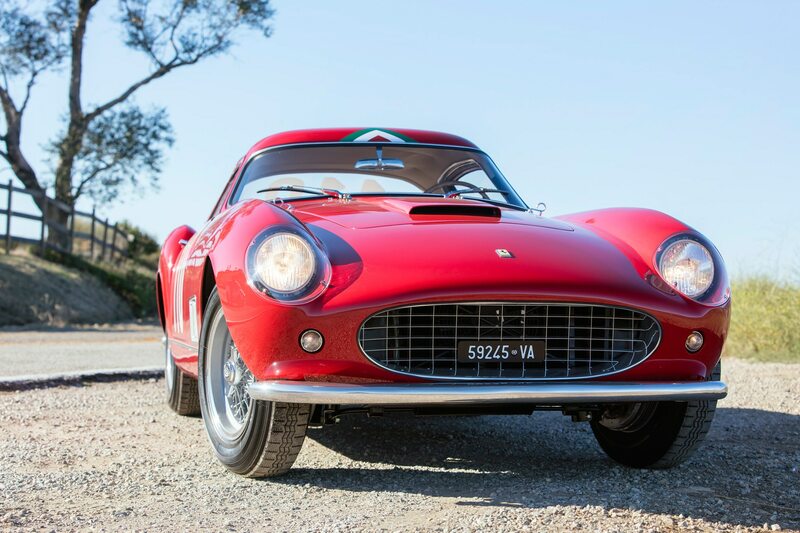 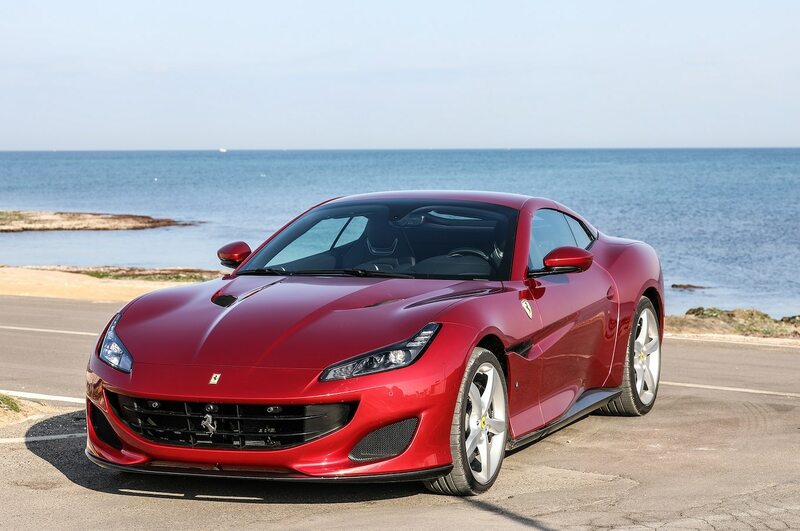 Since then, the car won three awards at the 2016 Concorso Italiano in Monterey, CA, including Best in Show, along with an Excellence in Class award at the Mar-a-Lago Concours d’Elegance, part of the 2017 Cavallino Classic. 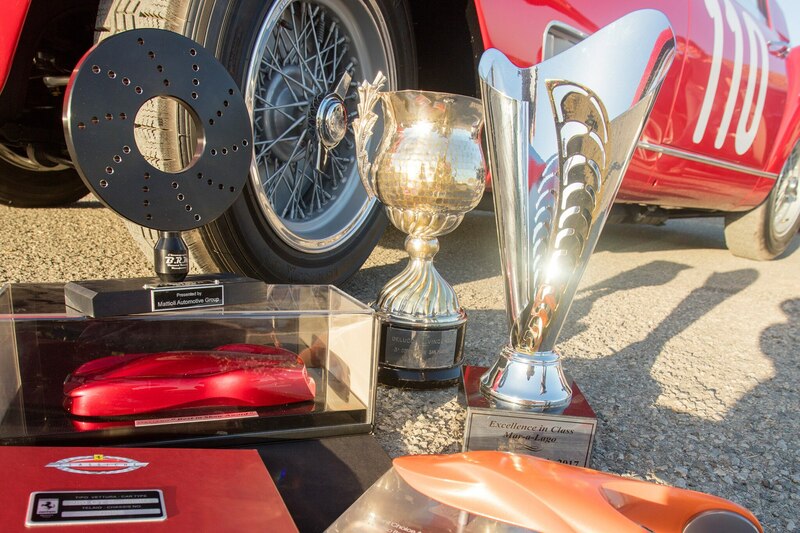 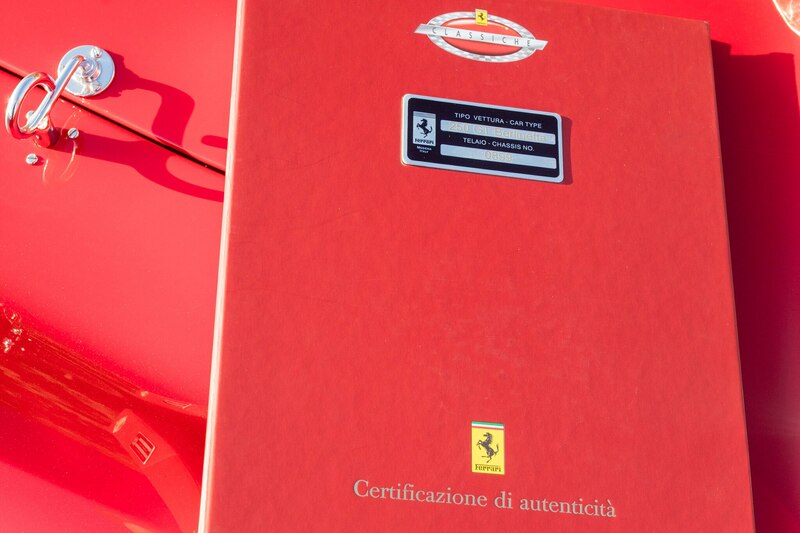 In addition to these trophies, the car is sold with the trophy from its third-place finish at the 1959 Coppa San Marino. 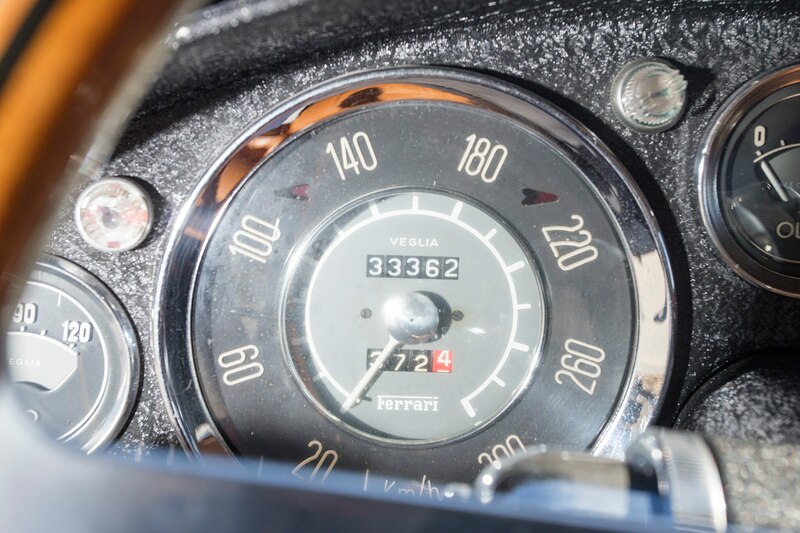 After looking over the car’s documentation and admiring its lovely aesthetics, we decide to answer the question that’s first and foremost on our minds: what’s a ’58 Ferrari 250 GT Tour de France like to actually drive? 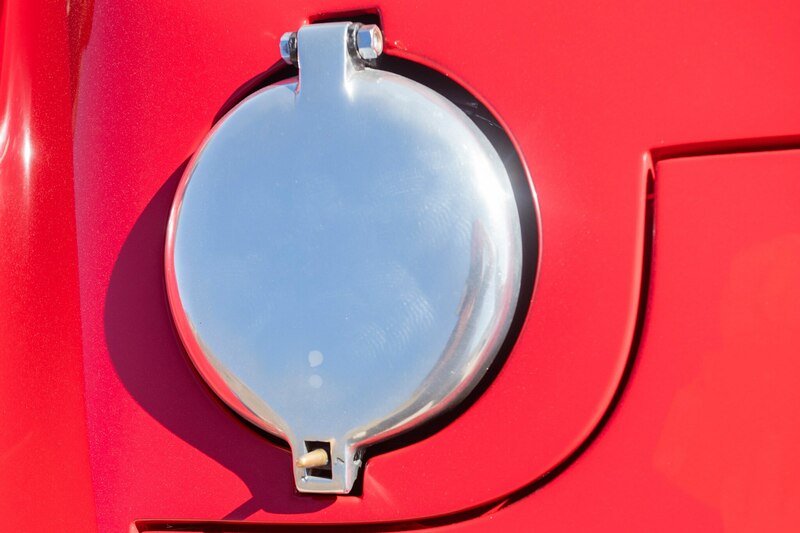 With all-aluminum bodywork, the door opens with an extremely light touch and a click from the chrome pushbutton handle. 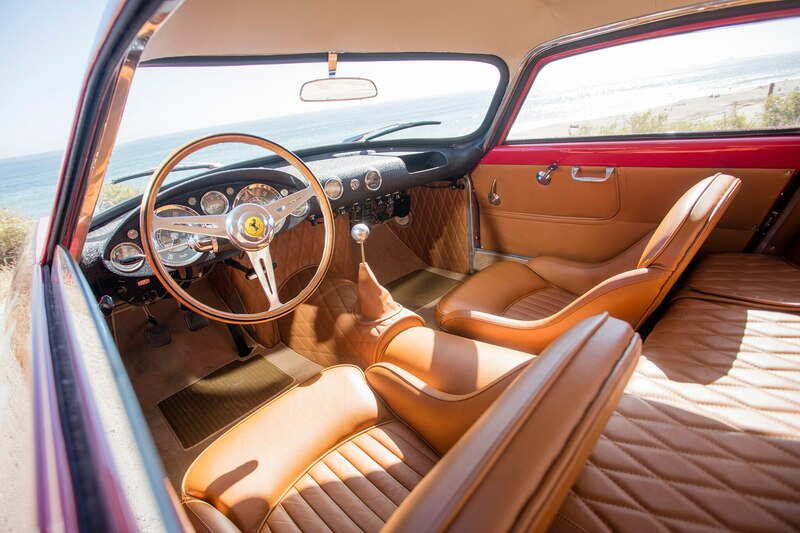 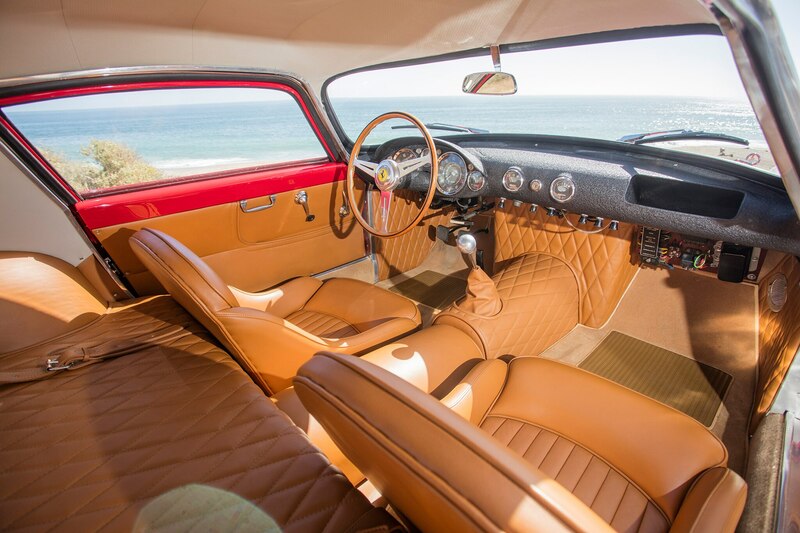 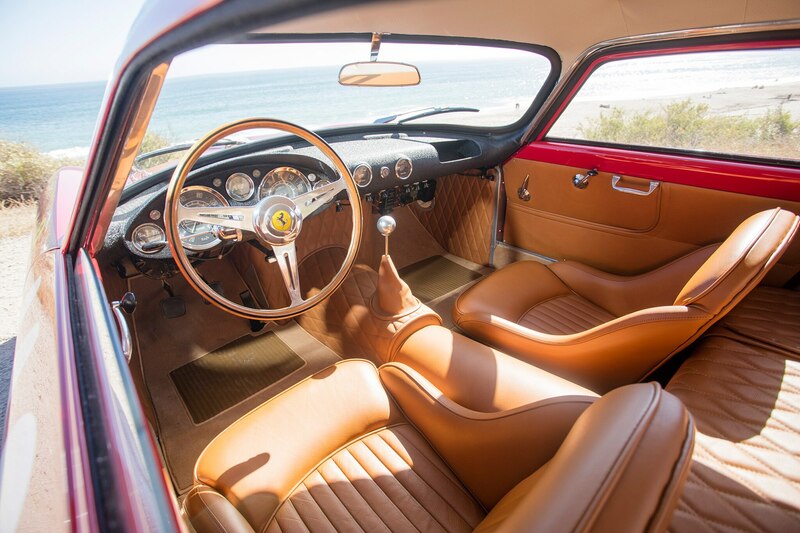 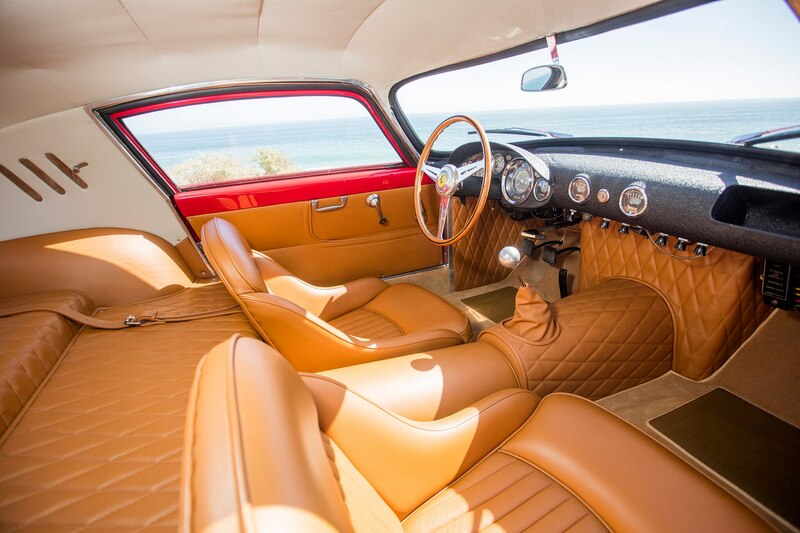 The interior is the stuff of vintage Ferrari dreams, with a classic, black crackle-finish dashboard, a large-diameter wooden steering wheel, and a tall gearlever topped with a metal knob the size of an eight-ball rising from the leather-wrapped center transmission tunnel. 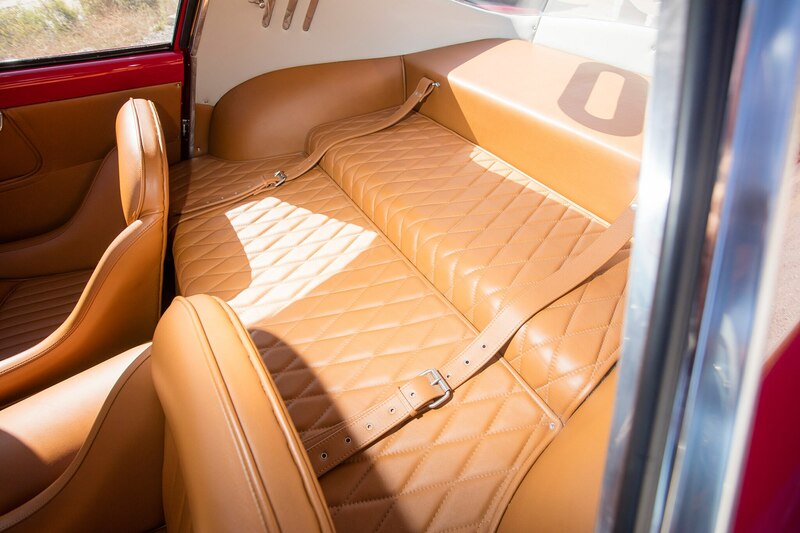 The smell of leather, warm oil, and exhaust fumes mix in the cabin as we settle into the high-bolstered bucket seats that notably lack any restraints. 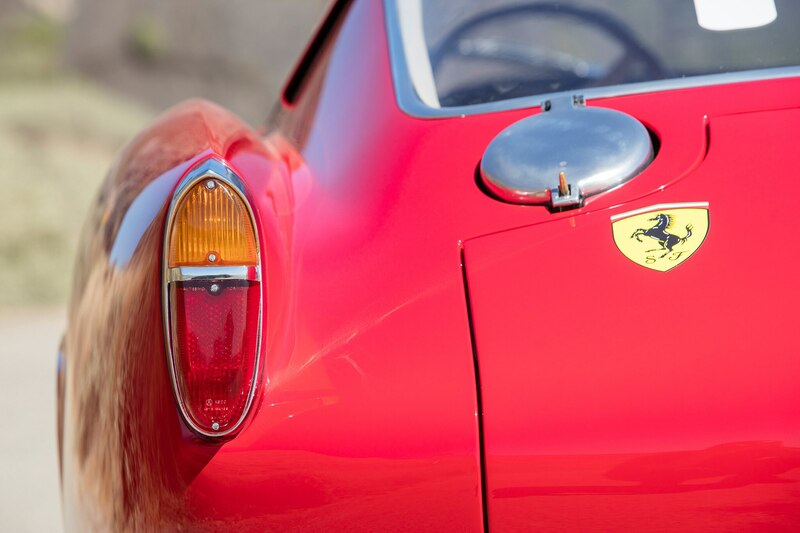 Now that’s period-correct. 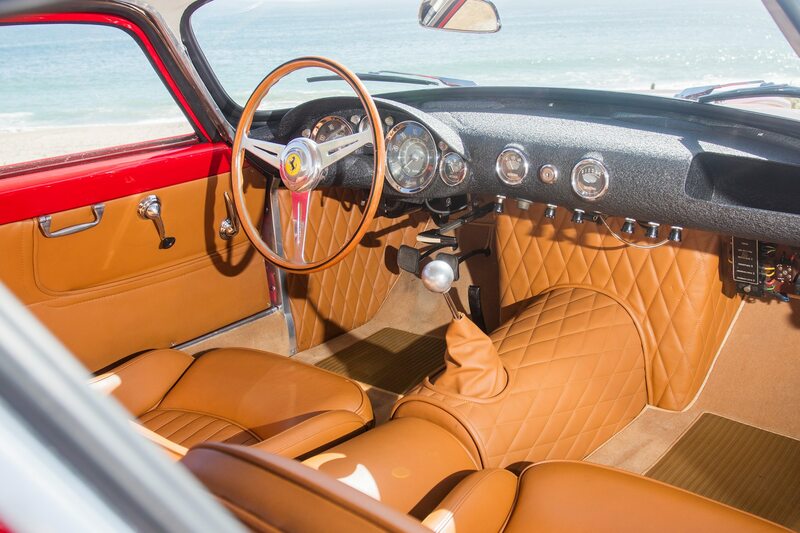 The engine fires quickly and after a quick familiarization with the controls – and a quick test of the near-horizontally hinged pedals sprouting from the lower firewall – we’re off. 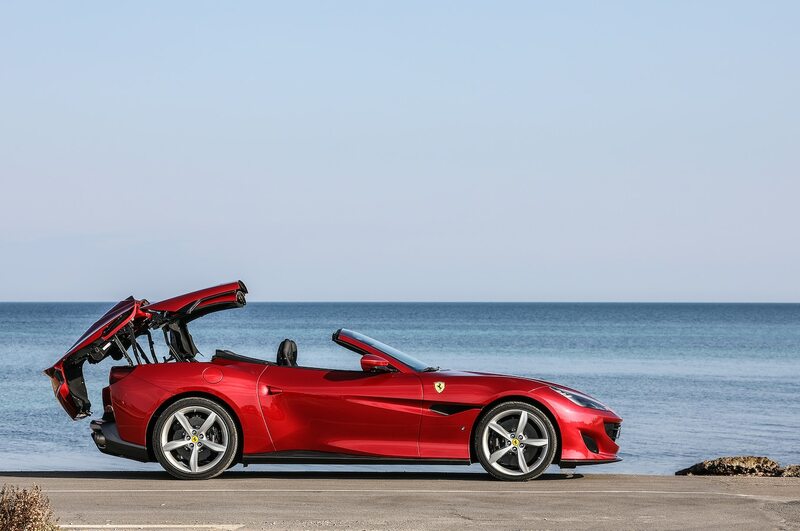 Clutch take-up is surprisingly light but with excellent feel, making moving away from a stop child’s play. 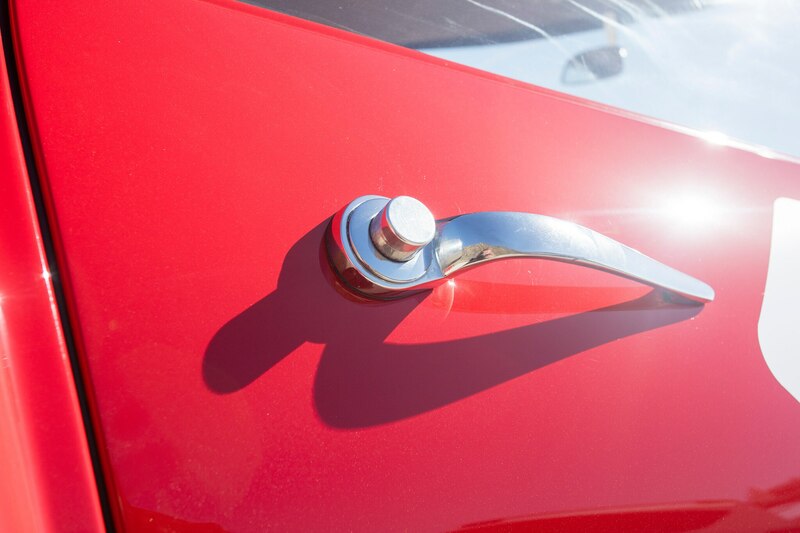 The large shift knob fits perfectly in hand and we slot the metal gear lever down into second with a precise “clink” before letting the revs rise again. 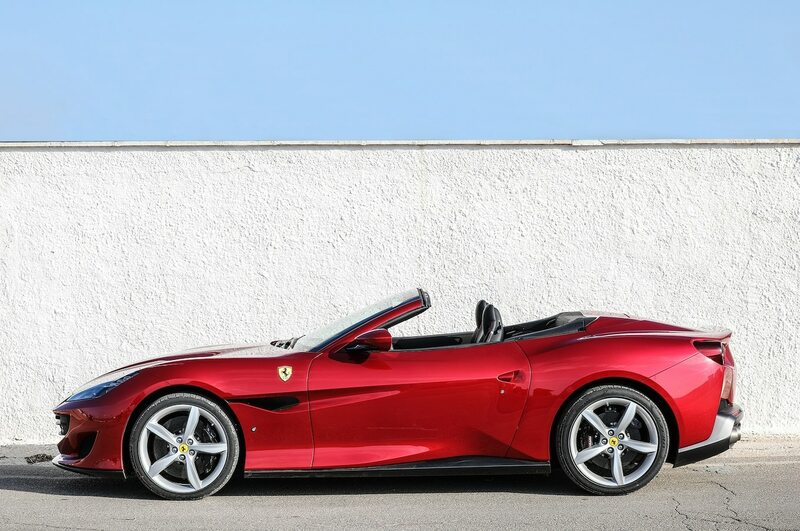 The view out the front of the car over that red hood is glorious, but narrow and framed by the low roofline and high dashboard. 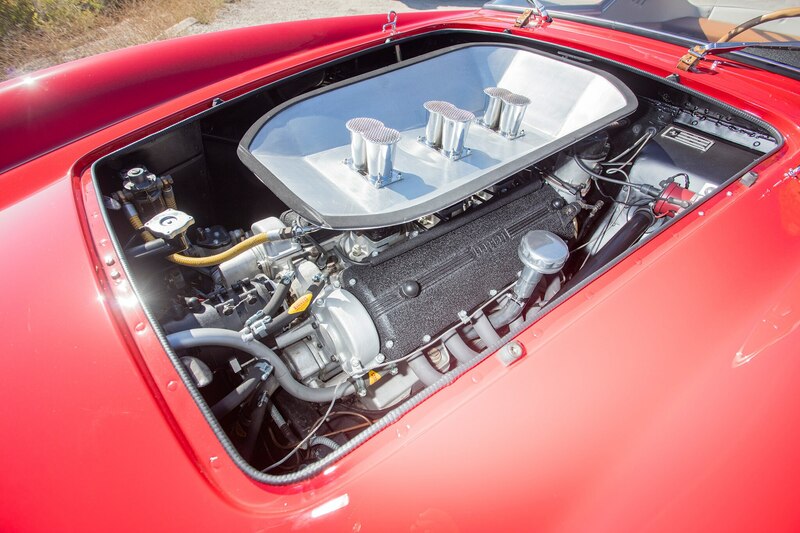 It’s a warm day and we’ve got the windows down, all the better to hear Colombo’s V-12 do its thing. 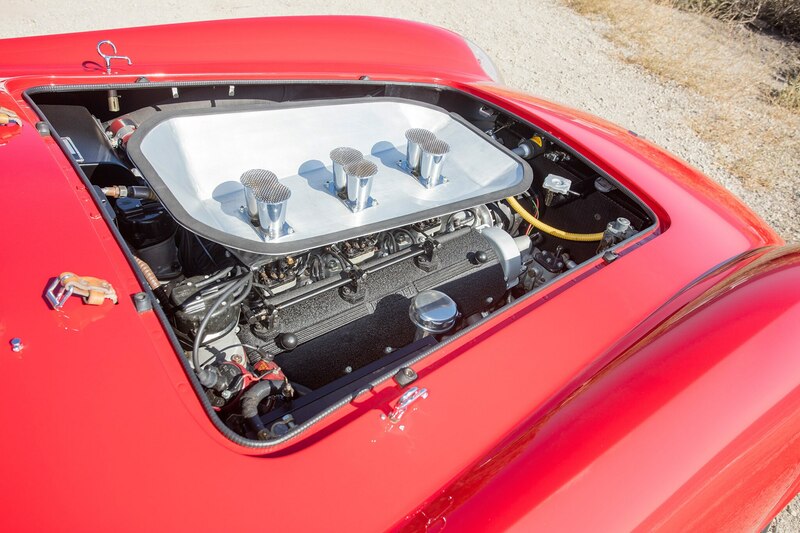 As this is a multi-million dollar car that’s about to be sold, we sympathetically keep revs well below the 7,000-rpm redline, but even at 5,000 revolutions per minute, the sound – a complex arrangement of mechanical orchestra – is just stunning. 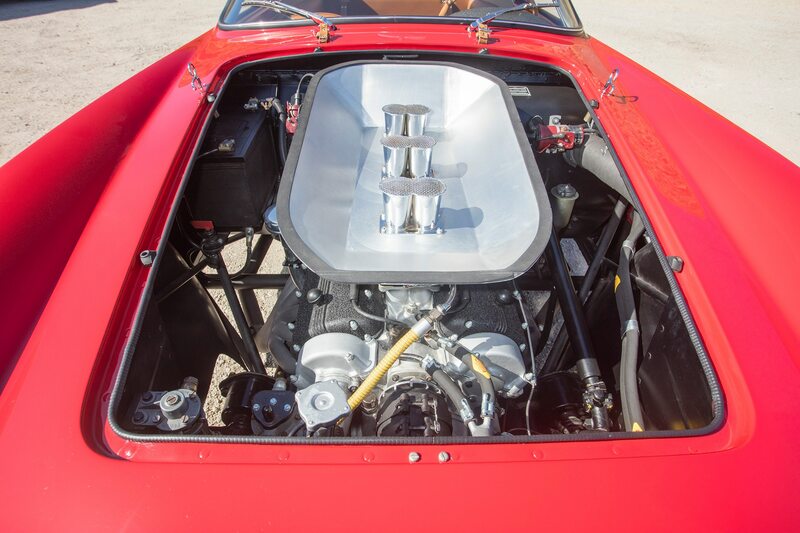 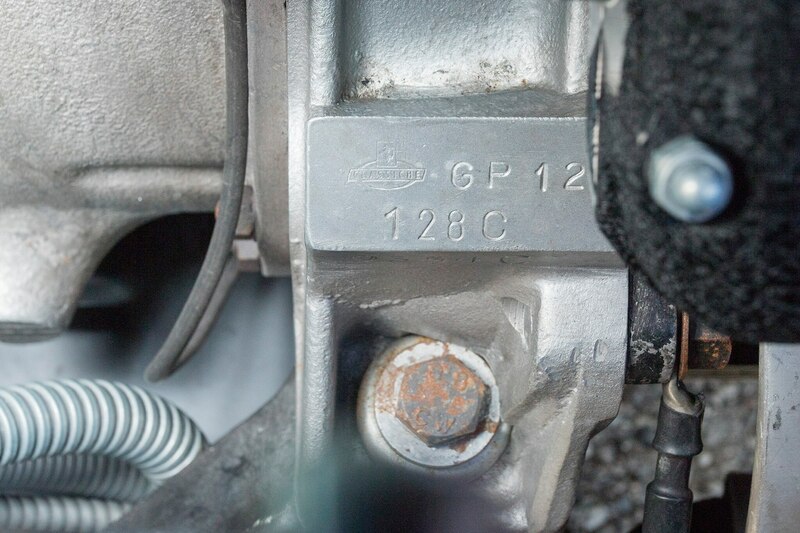 The most well-worn Colombo engine note cliché is probably that of ripping silk. 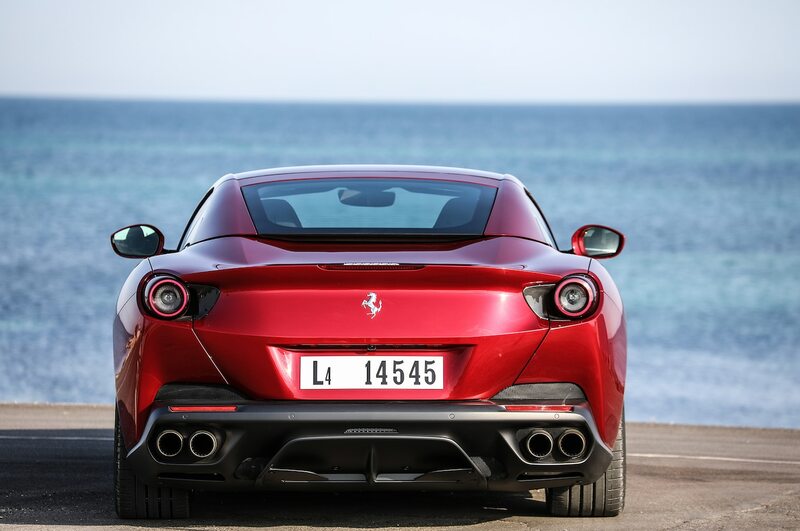 We’ll just say that once you’ve heard it, it’s a sound that stays with you for some time. 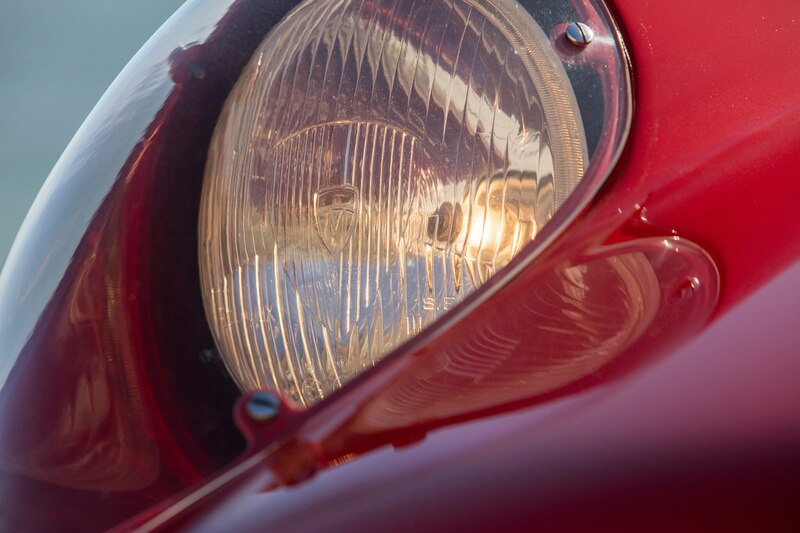 The noise is almost haunting. 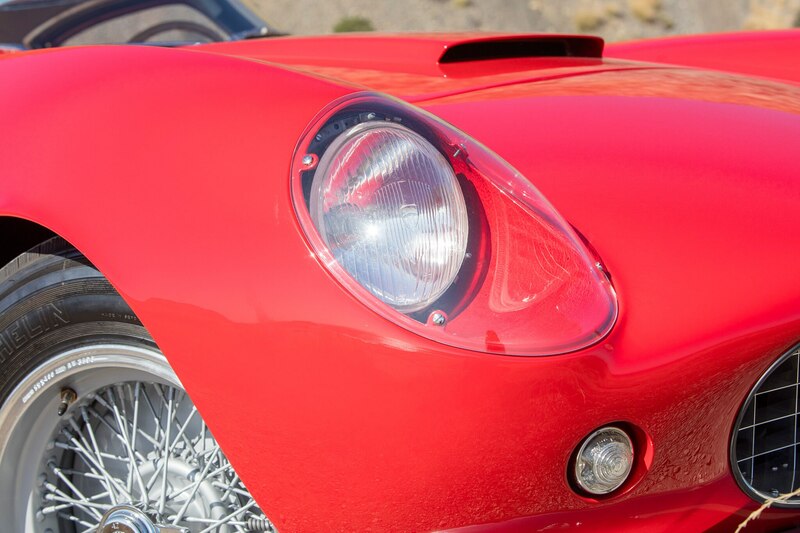 Over the twisting canyon road with just enough speed to have a little fun, this Tour de France is planted, smooth, responsive and even comfortable to drive. 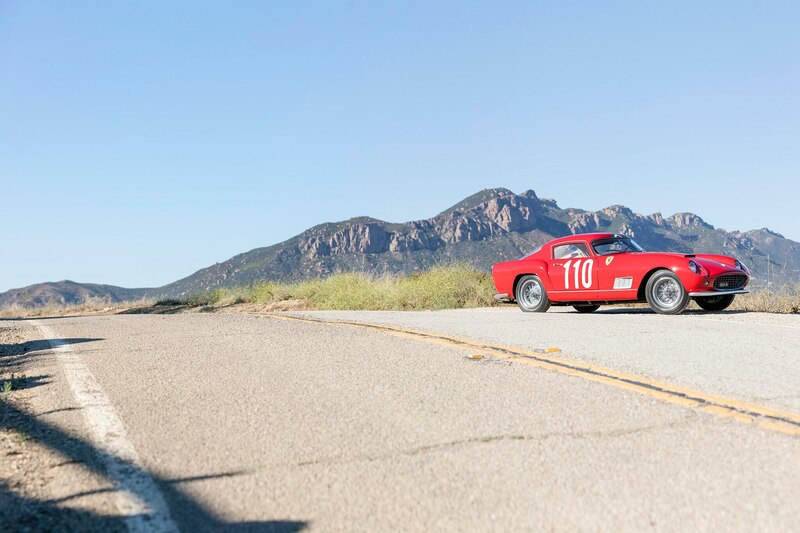 We’d love to take the helm for a multi-day vintage rally like the Colorado Grand – the Ferrari feels like it’s made to eat up miles of snaking road and in fact, it is. 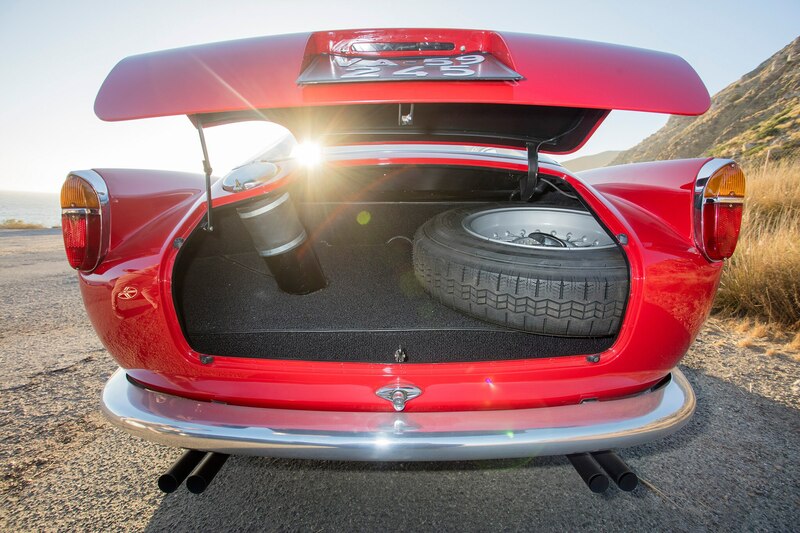 Power is strong enough to make quick work of passing slower traffic, even heading uphill, and the trunk is large enough to swallow more than enough luggage for a weekend road trip – or race excursion. 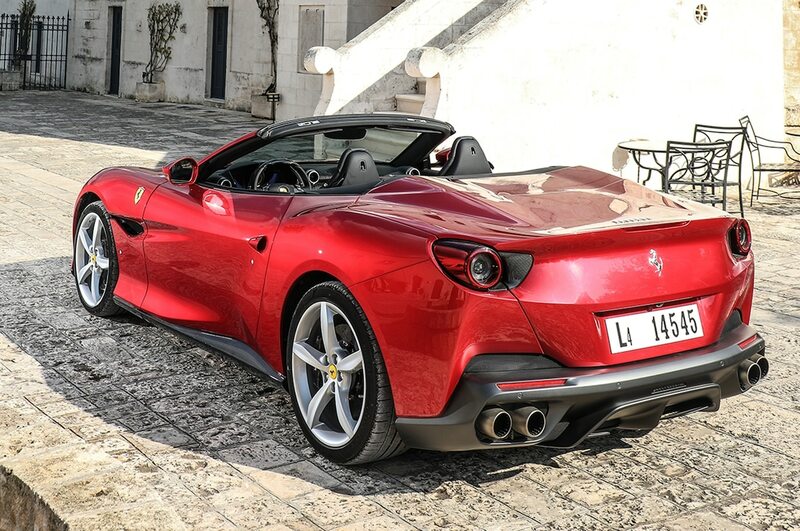 At what cost, this sensational Ferrari? 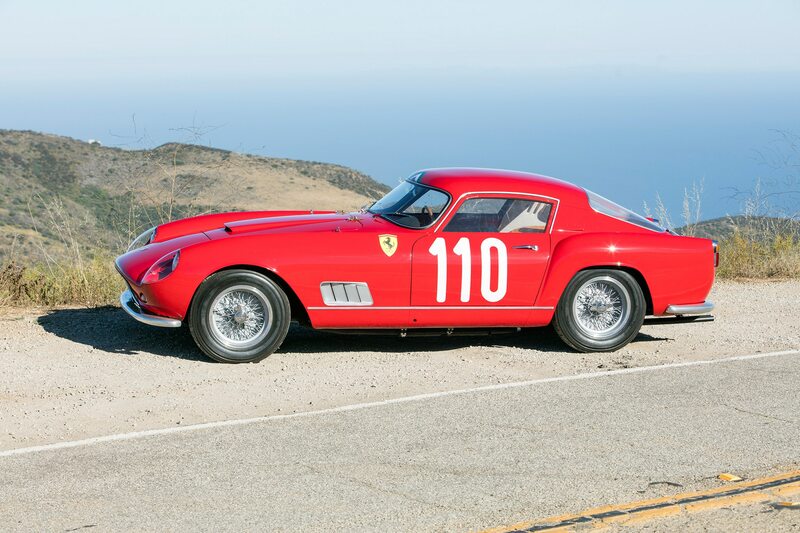 Bonhams’ Greisen feels sufficient to say the consignor will be expecting a result in excess of $5,000,000 when the Tour de France crosses the auction block in Monterey, California at the Quail Lodge sale on August 18, 2017. 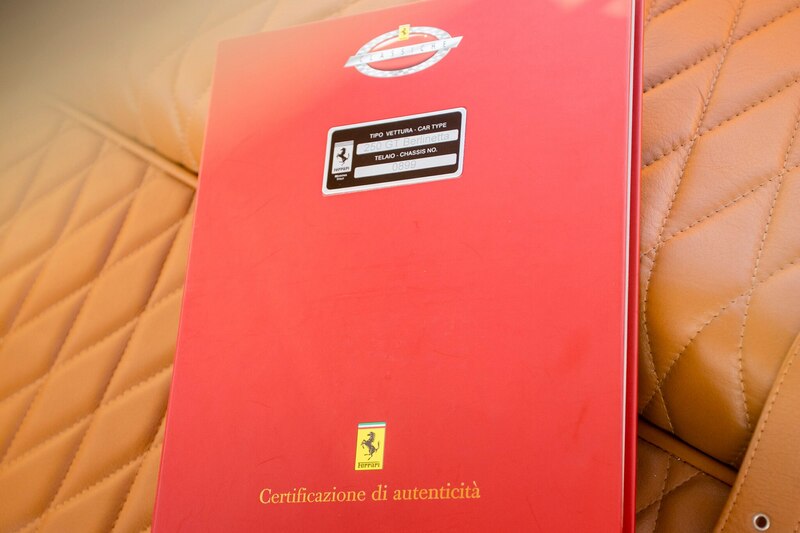 We think the new owner will find it worth every single penny.